Israeli occupation forces (IOF) stormed the village of Kharsa, south of Dura town in Al-Khalil, on Friday night and clashed with young men. 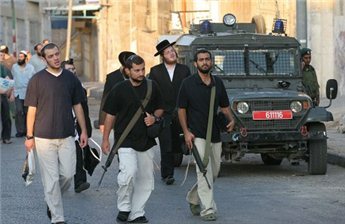 Eyewitnesses told the PIC that violent confrontations were reported in the village after IOF soldiers in five army jeeps roamed its streets. They said that young men threw stones and empty bottles at the invading troops who responded by firing metal bullets and teargas canisters at them. They said that the soldiers set up a roadblock near Kharsa crossroads and searched all passing vehicles. Meanwhile, locals reported that IOF soldiers stormed four villages in Al-Khalil on Saturday and patrolled their streets and searched several houses. Palestinian security sources said that IOF soldiers searched homes in Arub refugee camp and served summonses for a number of young men. The Israeli occupation forces (IOF) quelled the peaceful marches held on Friday afternoon in different West Bank areas against settlement activities and in support of Jerusalem, the Aqsa Mosque and the prisoners. In Bethlehem, the IOF violently attacked the Masarah village march which was dedicated this week to supporting the Aqsa Mosque and detained a number of protestors. Many protestors also got wounded when the IOF suppressed the march held in Bil'in village against the segregation wall and settlement activities. A young photojournalist named Majdi Abu Rahma was taken prisoner as he was taking photos during the march. 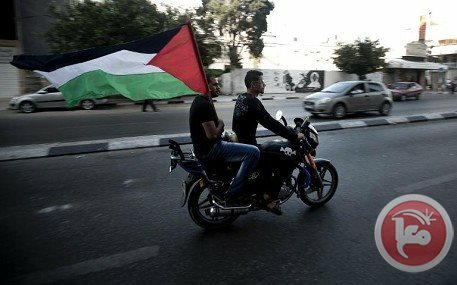 Participants in the march carried Palestinian flags and chanted slogans calling for restoring national unity, resisting the occupation and releasing the prisoners. 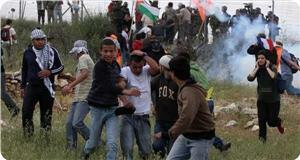 The IOF also clashed with the protestors in the Friday marches organized in the villages of Nabi Saleh and Kafr Qaddum. Many protests suffered tear gas injuries during the clashes. 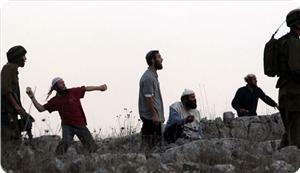 During the events, the IOF closed the road leading to Nabi Saleh village and chased protestors to arrest them. A number of suffocation cases were reported among Palestinians including children in Aroub Refugee Camp north of al-Khalil when Israeli forces fired tear gas bombs at their homes during a raid. The Israeli soldiers fired rubber-coated steel bullets, sound and tear gas bombs towards Palestinian homes in the camp, led to injuries among children aged up to seven years, eyewitnesses said. The sources told the PIC reporter that many citizens were wounded during the raid due to the intensive teargas grenades fired against their houses, pointing out that an elderly woman was hit by a sound bomb in her leg. 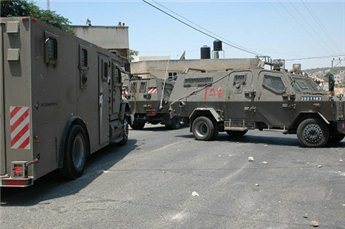 Israeli military sources have reported on Thursday evening [October 17, 2013] that soldiers stationed at a military base close to the Qalandia terminal, north of occupied Jerusalem, shot and killed a Palestinian driving a bulldozers after he allegedly drove into the base to attack soldiers. The sources said that the soldiers opened fire at the bulldozer seriously wounding the driving, who died of his wounds later on. The Radio Bethlehem 2000 has reported that the slain Palestinian has been identified as Younes Ahmad Radayda, 25, from Al-Obeydiyya town, near Bethlehem. The Palestinian managed to damage an Israeli military vehicle parked in the base before he was shot. One soldier was in the vehicle, and suffered mild injuries that did not require hospitalization. 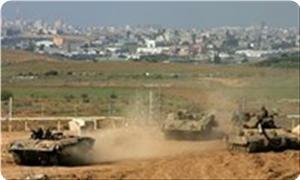 Israeli Ynet News has reported that dozens of soldiers were alerted of the attack, and rushed to the base. Furthermore, the Palestinian News & Info Agency (WAFA) has reported that clashes took place in the area between dozens of youths and Israeli soldiers. The army fired rubber-coated metal bullets, gas bombs and concussion grenades at the youths who threw stones and empty bottles. 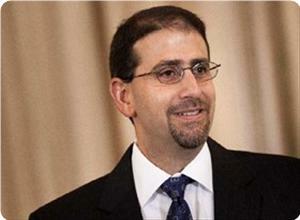 US ambassador to the Israeli entity Dan Shapiro stressed his country's support to "Israel's right to defend itself against the Palestinian terrorist organizations in Gaza." The US ambassador's statement came during his visit to the tunnel discovered running from Gaza to the Palestinian territories occupied in 1948 to allegedly carry out resistance attacks. The United States continues its double standards policy in total bias to the Israeli occupation at the expense of Palestinian rights. Locals of Beit Awwa, a West Bank village in the Hebron district, reported that Palestinians set fire to an Israeli watchtower Monday during clashes with the Israeli army. 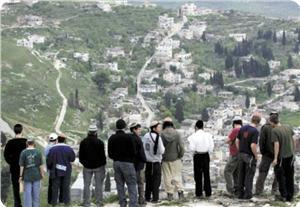 The clashes broke out when the Israeli army entered the village. Palestinians threw stones and Israeli forces fired tear-gas grenades, locals said, adding that dozens of villagers suffered from tear gas inhalation. Additionally, Palestinians threw Molotov cocktails at an Israeli watchtower located near the village, burning the watchtower and reportedly injuring Israeli soldiers. The extent of the damage done to the watchtower and the number of injuries are not immediately clear. 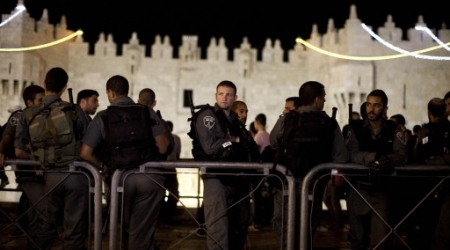 A spokesman for the Israeli army did not immediately respond to a request for comment. 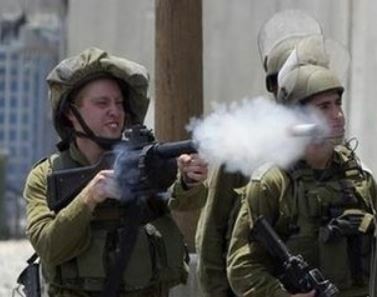 Dozens of Palestinian young men suffered breathing difficulty after Israeli occupation forces (IOF) fired teargas canisters at them in Jaba village, south of Jenin, on Sunday. Local sources said that IOF soldiers in more than 20 army vehicles broke into the village and stationed in Ein Al-Sharqiya area prompting young men to throw stones and empty bottles at them. They said that the soldiers also fired at random to disperse the youths, adding that the soldiers harassed passersby and marched in nearby alleys. Seven Israeli military vehicles entered the Palestinian village of Jaba in the northern West Bank district of Jenin on Sunday, eyewitnesses said. 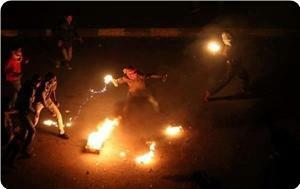 During the raid, clashes broke out between local Palestinians and Israeli forces in the Ein al-Sharqiya neighborhood. Palestinians threw stones and empty bottles at Israeli forces who responded by firing tear gas grenades and sound bombs toward Palestinians and their properties, witnesses said. A Israeli army spokeswoman said that security forces responded to "several people hurling rocks" with "riot dispersal means." 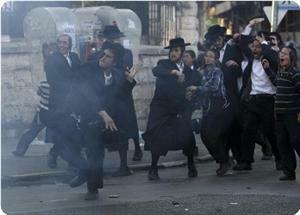 Dozens of Palestinians suffered from excessive tear gas inhalation as a result of the clashes, witnesses said. Israeli forces were stationed in the village for an hour before repositioning themselves at the main entrance to the village, locals said. Asked why the Israeli military vehicles had entered the village, the army spokeswoman responded that forces often drive around the area. "It's just routine," she said. Palestinian medical sources have reported that two Palestinians have been injured near the Ofer Israeli Prison, west of the central West Bank city of Ramallah. 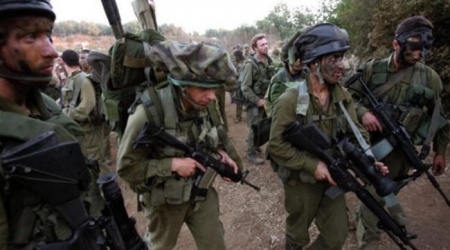 The Israeli army claimed that three soldiers were mildly injured during the clashes. The sources said that the two Palestinians were shot by rubber-coated metal bullets during clashes that took place near the prison, as Palestinian protesters marched demanding the release of all Palestinian political prisoners held by Israel. Local sources said that dozens of Palestinian youths marched near the prison and hurled stones and empty bottles at Israeli soldiers who attacked them with rounds of live ammunition, rubber-coated metal bullets and gas bombs. The soldiers chased the Palestinians into the streets of Betunia town, near the prison compound, and fired more gas bombs in the streets and at a number of homes. 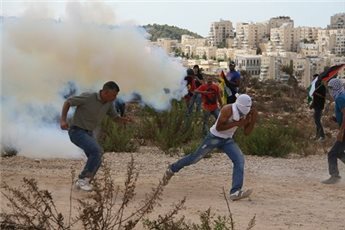 Seven protesters were abducted, and many others were treated for the effects of tear gas inhalation when Israeli soldiers attacked on the weekly protests organized at the villages of al Nabi Saleh, Bil’in, and Nil’in, in the central West Bank and Kufer Qadum in the northern West Bank as well as Al Ma’ssara village in the southern West Bank. Israeli troops abducted on Friday four international supporters and three local activists as they attacked the weekly anti wall and settlements protest at the village of Al Ma’ssara. Troops attacked the protest before leaving the village and used rifle butts and batons to force people back into the village. At the village of al Nabi Saleh, Israeli soldiers used tear gas to suppress the villagers and their supporters before even leaving the village. Later troops invaded the village and fired tear gas bombs into residents’ homes. Many residents were treated for the effects of tear gas inhalation. In the nearby villages of Bil’in and Ni’lin villagers and their supporters, managed to reach the Israeli wall built on local farmers lands. 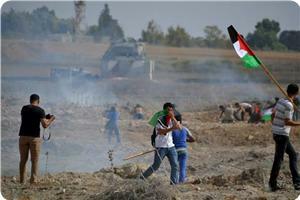 Israeli troops stationed there fired tear gas and rubber-coated steel bullets at the unarmed protesters. As a result many civilians were treated for the effects of tear gas inhalation. Elsewhere, Israeli soldiers surrounded the village of Kufer Qadum and did not allow journalists and international supporters to enter the village to take part in the weekly protest there. Moreover, troops attacked the protest before leaving the village and fired tear gas at residents. Many were treated for the effects of tear gas inhalation. Israeli Air Force F-15I fighter jet conducts an aerial refueling at the Hatzerim air base in southern Israel on December 28, 2010. As Iran and the six major world powers prepare to hold a fresh round of talks over the country’s nuclear energy program, Israel has held a “special long-range flight exercise” in its latest act of provocation against Tehran. The Israeli military said Thursday that the Air Force fighter squadrons conducted war games this week testing their capability to carry out missions in long ranges from base. The forces practiced air-to-air refueling planes and dogfights against foreign combat planes. Tel Aviv also posted footage of the drill online as Iran and the five permanent UN Security Council members - Russia, China, France, Britain and the US - plus Germany prepare to hold negotiations in Geneva, Switzerland, on October 15 and 16. Addressing the United Nations General Assembly session earlier this month, Netanyahu threatened unilateral military action against Iran to dismantle the Islamic Republic’s civilian nuclear facilities. Iran rejects the allegations, arguing that as a signatory to the nuclear Non-Proliferation Treaty (NPT) and a member of the International Atomic Energy Agency (IAEA), it has the right to use nuclear technology for peaceful purposes. Tehran has also promised a crushing response to any act of aggression against the country. Israeli sources reported on Wednesday evening [October 10, 2013] that the Israeli army fired a missile at a Syrian army base after mortar shells was fired from Syrian territory into the occupied Golan Heights. 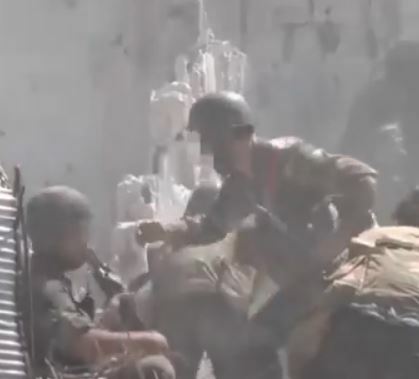 The sources said that the army fired the missile at the source of fire, an issue that led to casualties among Syrian soldiers. According to Israeli sources, one Israeli soldier suffered “an anxiety attack”, while another soldier was hit by shell fragmentation. Israeli military leaders said that it is likely that the mortars fired from Syria where not meant to target Israel, as gun battles were taking place between the Syrian army and the armed militias close to the border. 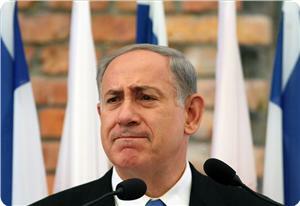 Yet, Tel Aviv said it would be filing an official complaint to the United Nations. It is worth mentioning that Israel repeatedly violated Syrian airspace and bombarded several areas, including Syrian army bases, and other army and government-run facilities leading to excessive damage and dozens of casualties. Israeli forces backed by military vehicles attacked several neighborhoods in Nablus north of the occupied West Bank. 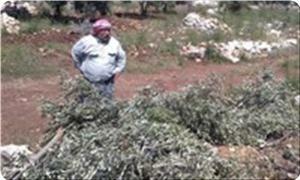 Witnesses said that the Israeli troops attacked Balata camp and arrested a Palestinian youth after raiding his house. 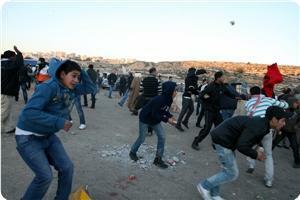 Israeli forces shot a student in the foot with a rubber-coated steel bullet near Bethlehem on Wednesday, locals said. 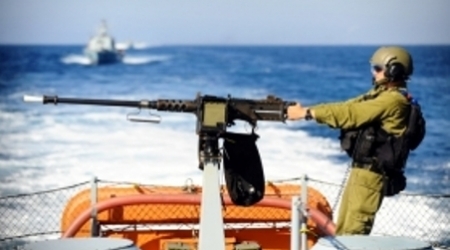 Israeli gunboats opened fire towards Gaza shores on Wednesday morning, no injuries reported. Local sources said that loud explosions were heard at dawn; lately they recognized them as artillery shells launched by Israeli gunboats towards the coast of Gaza. Israeli gunboats open its fire regularly towards Palestinian fishers and homes close to the seashore. 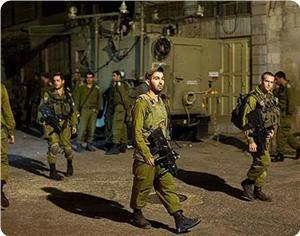 Violent confrontations were reported on Tuesday night in Jenin city between invading Israeli soldiers and citizens. Local sources said that a 23-year-old youth was injured in his leg when a teargas canister fired by the Israeli occupation forces (IOF) hit him. They said that many other civilians suffered breathing problems as a result of the IOF extensive use of teargas in dispersing the protesting crowds. The sources said that the soldiers, who entered the city in six army vehicles, had provoked citizens and opened random fire at them prompting the citizens to respond by throwing stones and clashes went on for hours. Eyewitnesses, meanwhile, noticed that PA security forces who had been parading the streets of Jenin city and its refugee camp over the past few days in a muscle-flexing show had disappeared completely from the streets during the IOF raid. 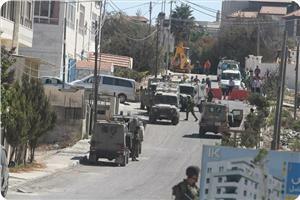 They said that the PA forces returned to Jenin streets on Wednesday morning after withdrawal of the IOF soldiers. Dozens of Israeli soldiers invaded the northern West Bank city of Jenin, shot and injured one Palestinian; clashes have been reported. Soldiers also installed roadblocks in the area, and invaded various communities. Medical sources said that Mohammad Ashour Zakarna, 20, was shot by a gas bomb in the leg during clashes that took place in the city. 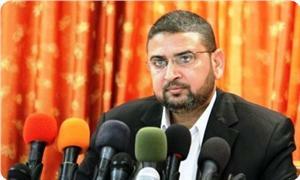 He was moved to the Jenin Governmental Hospital suffering moderate injuries. Dozens of Israeli military vehicles also invaded areas south of Jenin city, leading to clashes with local youths who hurled stones and empty bottles at them. 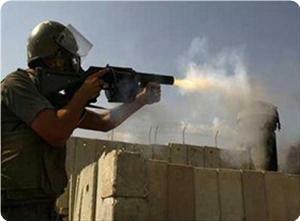 The army fired several gas bombs and concussion grenades causing dozens of injuries. Furthermore, soldiers closed the Dotan military roadblock, near Ya’bod town, and blocked all Palestinian traffic, while military units invaded various nearby Palestinian communities. Dozens of military jeeps also invaded the villages of Jilqamous and Deir Abu Da’if, east of Jenin. In related news, Israeli Navy ships fired a number of shells at Palestinian fishing boats docked at the Gaza coast in the besieged coastal region. Eyewitnesses said that the shelling led to no injuries as the shore was relatively vacant because the fishermen have no fuel left due to the ongoing illegal Israeli siege and restrictions. Israeli military forces (IMF) have stormed the Palestinian town of al-Bireh in central West Bank, firing tear gas and rubber bullets on the Palestinian residents, witnesses reported. 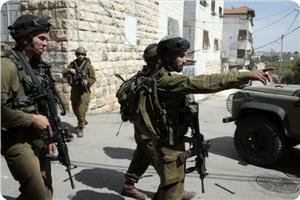 The Israeli soldiers in 30 military jeeps on Monday arrested at least one Palestinian man. Israeli security source said that an IOF forces opened fire on a Palestinian who tried to cross the border fence near the village of Beit Amin, east of Qalqiliya. 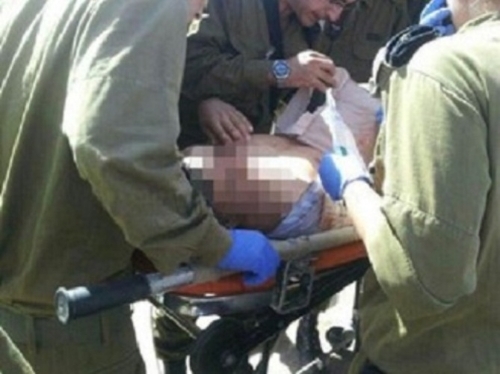 Yediot Ahranot reported that the Palestinian sustained moderate wounds. Military spokesperson claimed that Israeli soldiers chased after the Palestinian and asked him to stop, but he refused and then the soldiers opened fire on him. The newspaper added that the wounded Palestinian was shot in his abdomen and was transferred to an Israeli hospital for treatment. According to the same newspaper, the village where the Palestinian was wounded is located in the same area where an Israeli soldier was found murdered few weeks ago. The Palestinian Presidency called on Tuesday the Israeli government to put a end to attacks that Israeli settlers carry out on Palestinians, their property and holy places, The Palestinian official news agency WAFA reported. 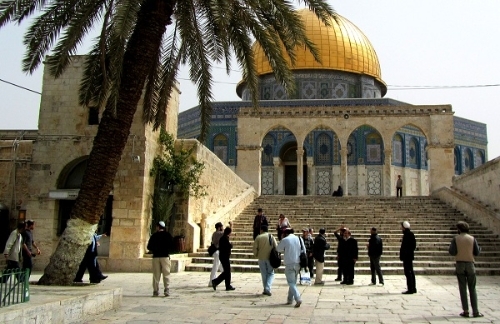 Presidency condemned the continued incursions by Jewish settlers, members of the intelligence and Israeli soldiers into al-Aqsa Mosque in occupied Jerusalem. 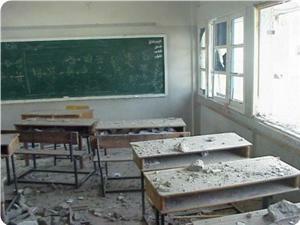 The Palestinian Presidency warned that these attacks and violations "could lead to unwarranted developments. ", according to WAFA. Two Palestinian brothers were taken prisoners in El-Bireh suburb at noon Monday at the hands of Israeli occupation forces (IOF). Eyewitnesses told the PIC reporter that IOF soldiers in army vehicles stormed the city and surrounded a building in Marhaba suburb before blasting their way into it. They said that the soldiers savagely broke all gates, doors and windows in their way before capturing the two brothers. The soldiers searched the vicinity of the building and sewage wells. They fired rubber bullets and teargas canisters at young men who protested the raid, the source s said. Owner of the building told the PIC reporter that the soldiers smashed and broke almost all doors and windows in his building. He said that the soldiers asked for his ID and when he showed them his American passport they started insulting him. Meanwhile, the Hebrew radio said on Tuesday that the two brothers were detained in connection with the shooting in Bsgot settlement last Saturday that injured a woman. Israeli occupation forces (IOF) withdrew from northern Gaza Strip before dawn Tuesday after a large-scale bulldozing operation near Beit Hanun town. Local sources said that the soldiers advanced one hundred meters late last night and bulldozed vast tracts of land to the east of Beit Hanun. They said that the soldiers opened fire at civilian homes and nearby lands during the operation. Palestinian security sources noted that the IOF switched off all lights in its nearby military position, adding that sounds of explosions and gunshots were heard in its vicinity. The Israeli occupation forces (IOF) on Monday evening imposed a tight blockade on Al-Khalil city and set up checkpoints at its entrances. Eyewitnesses said that the IOF closed the northern entrance to Al-Khalil near Halhoul bridge as well as its western entrance and embarked on intercepting cars and searching citizens. Another checkpoint was established at the crossroads of Al-Fawwar refugee camp in the southern area of Al-Khalil and forced Palestinian passengers, especially young men, to step out of the vehicles they were aboard for inspection. Human rights sources, in turn, reported that the Israeli soldiers posted at the entrance to Beit Ummar town, north of Al-Khalil, detained three young men for long hours before they released two of them and took the third to Etzion detention center. Meanwhile, a horde of fanatic Jewish settlers from Kiryat Arba outpost, located to the northeast of Al-Khalil, attacked the nearby Palestinian homes. 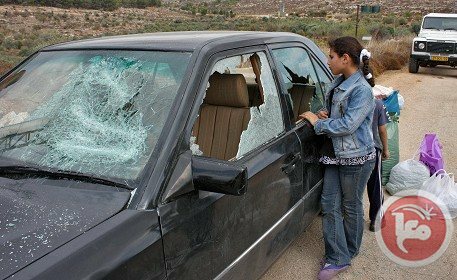 Ayoush Jaber, a 62-year-old man from the area, said that a group of malicious settlers under military protection threw stones and empty bottles at Palestinian cars and homes. Jaber told the Palestinian information center (PIC) that a group of Palestinian young men used stones and sticks to fend off the Jewish assailants, but the IOF protected the settlers and chased the youth to arrest them. Consequently, Wadi Al-Nasara area, especially the neighborhood where Jaber lives, saw more violent clashes that lasted for hours between the Palestinian residents on one side and the Jewish settlers and soldiers on the other side. The IOF also cordoned off the area and prevented cars and passersby from entering or leaving.